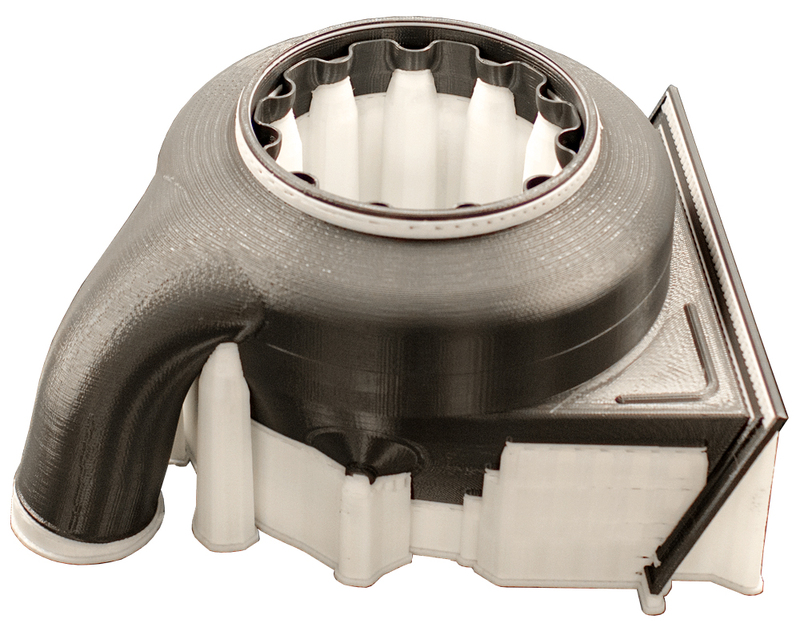 Additive manufacturing was remarkable from the very beginning. ACE knew it would have major implications in the manufacturing process. 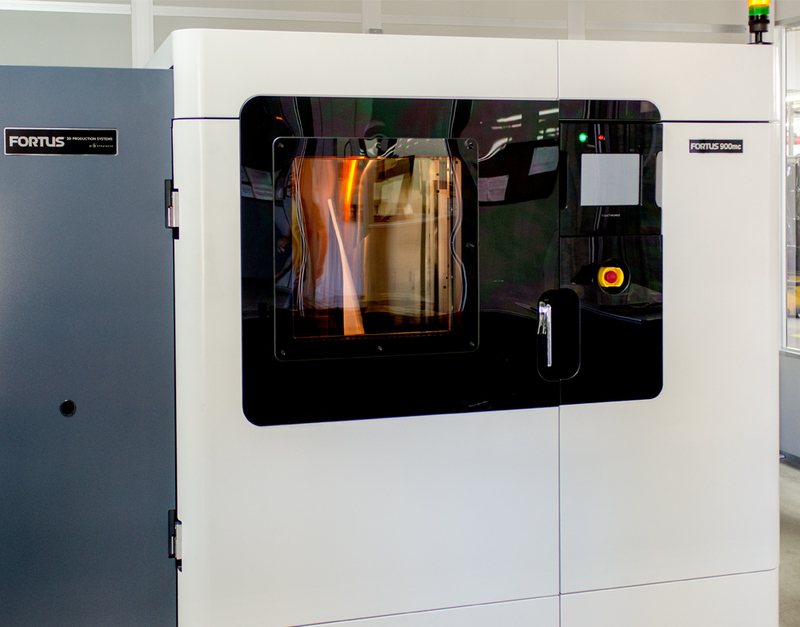 In 2012 ACE acquired the first of two Fortus 3D printers. 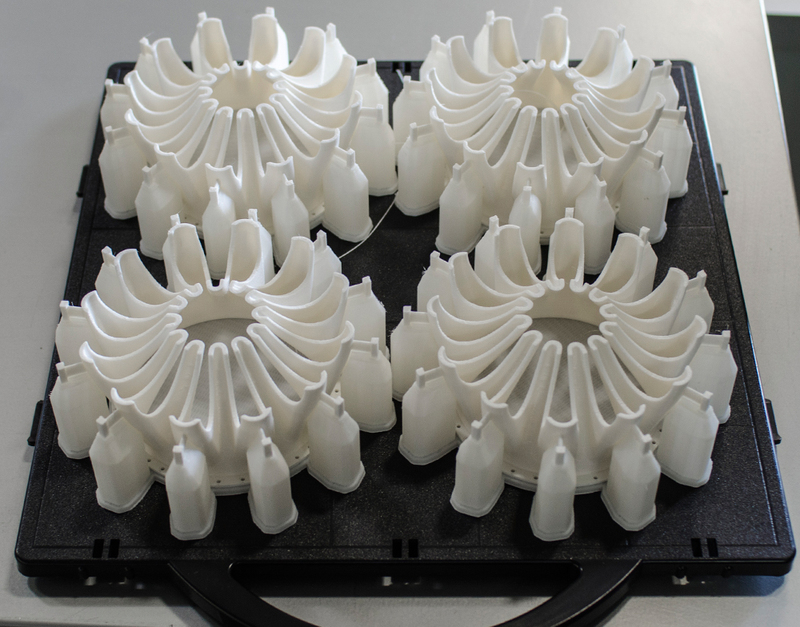 At first, ACE engineers used the device to print experimental sculptures. But soon they began to use the printers for stable, reliable measuring fixtures, tool components (combined with traditional materials), and most importantly, scale models our engineers were able to use to demonstrate to customers where their designs might be improved for added strength and streamlined manufacturing. 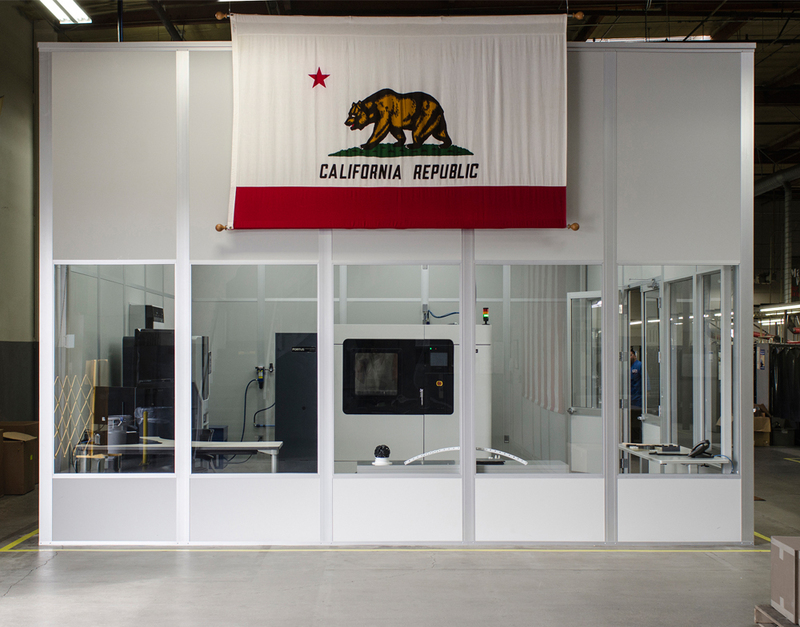 ACE went forward and built an entire free-standing lab where visiting guests can learn about the process and see results, in real time, during their tours. 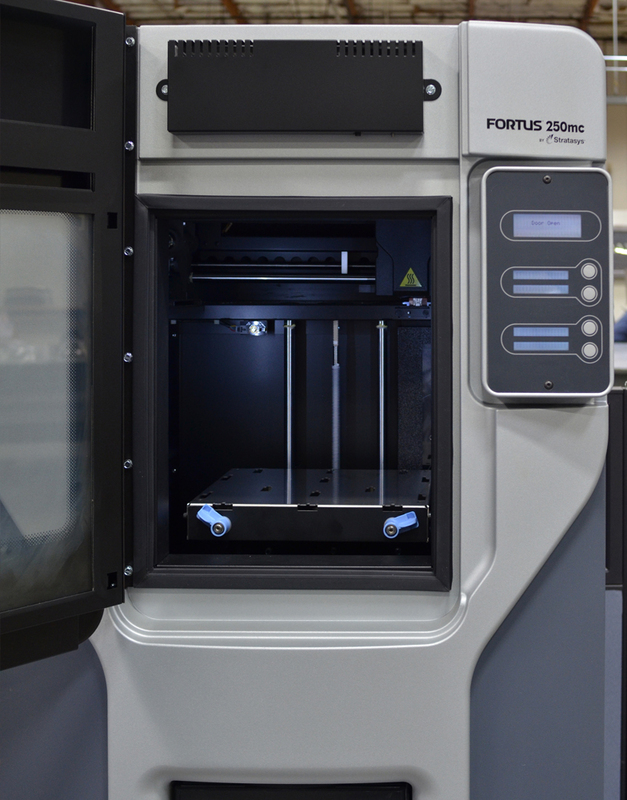 A spotless stand-alone 3D LAB houses ACE's two Fortus 3D Printers. 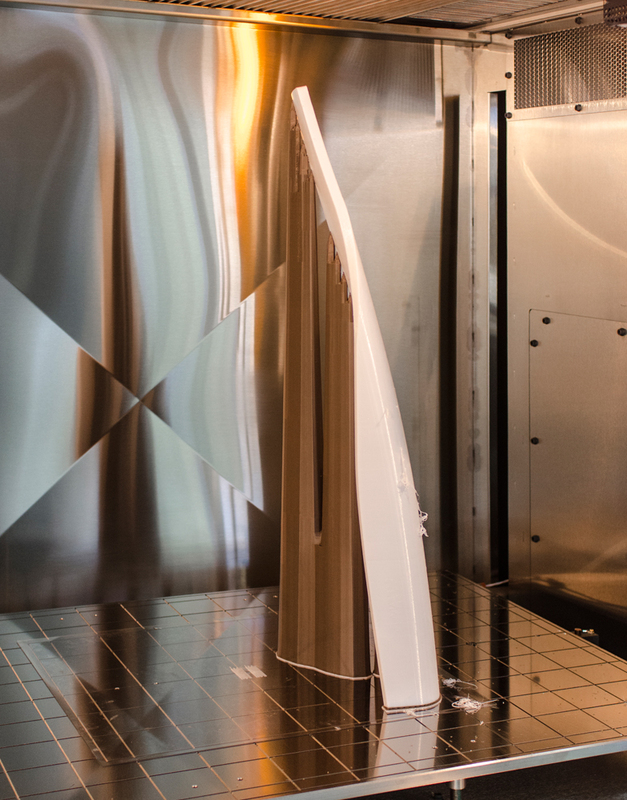 Inside this chamber, forms are created one tiny speck at a time in a printing process that can take days. 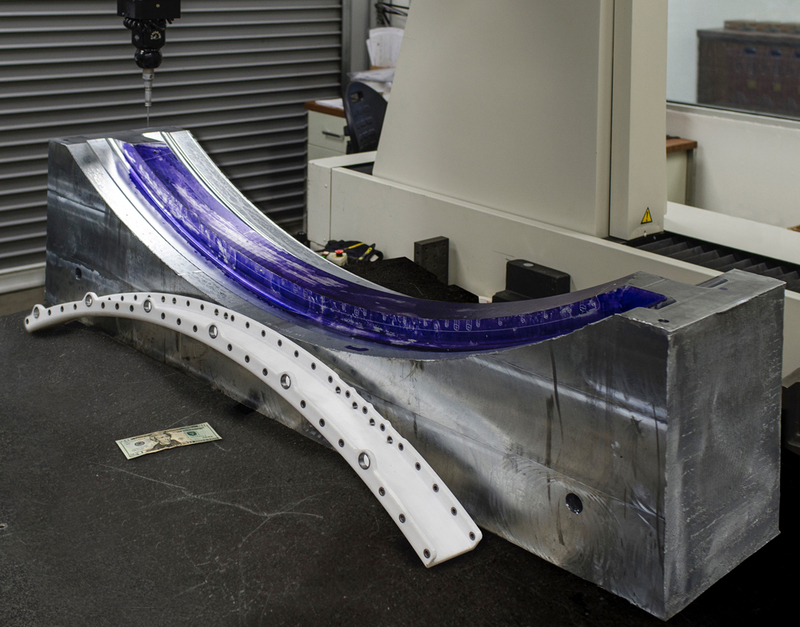 The large format 900mc has just finished this graceful part, in a session which lasted overnight. 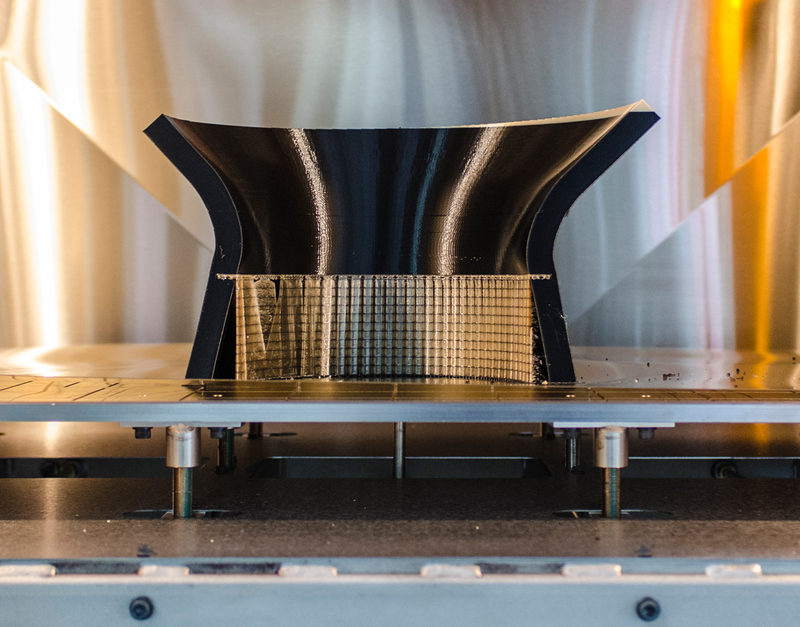 A computer driven head deposits tiny particles of melted plastic in precision placements to build-up the form – much like the way old dot-matrix printers worked in the 1980's on a two-dimensional surface (paper). ACE's new Fortus 900 has a large chamber accommodating pieces in excess of 18" tall and 36" wide. 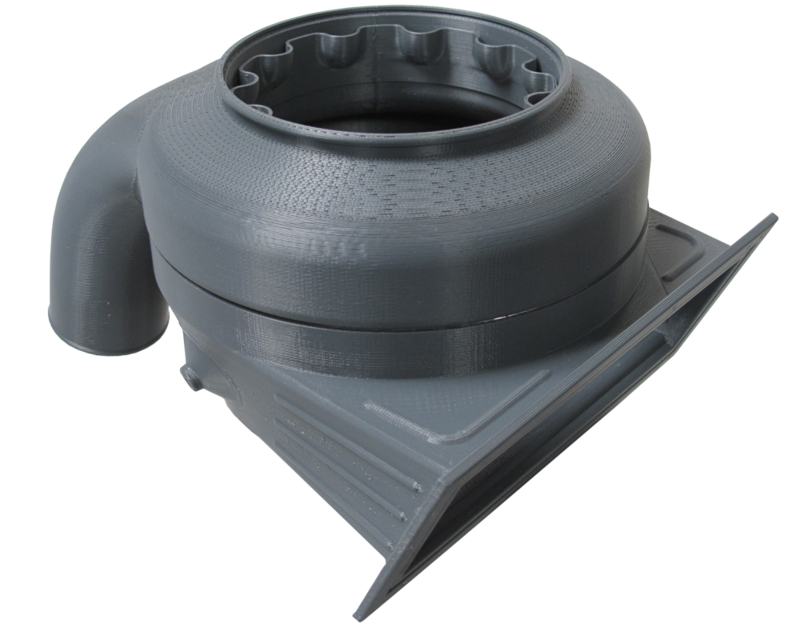 This part, in white, has a printed "stand", in brown, which holds the object upright until completed – when it is removed in a water bath, dissolving it. 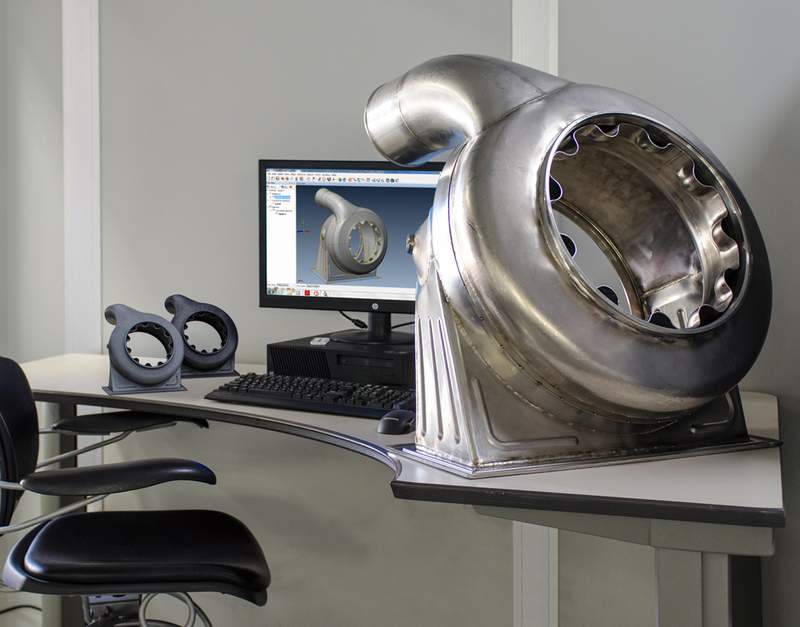 In this instance, the customer's 3D model, on screen, was translated into 3D printouts for manufacturing analysis (left), enabling an improved design in prototype (right). This is the printed eductor with its white print stand, before its removal. 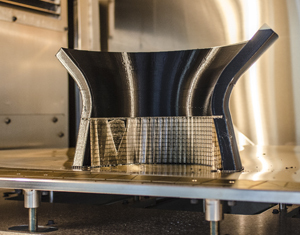 Up close, engineers studied the various ways ACE could utilize our many different capabilities to manufacture this eductor, to make it stronger with less individual sections and welds. 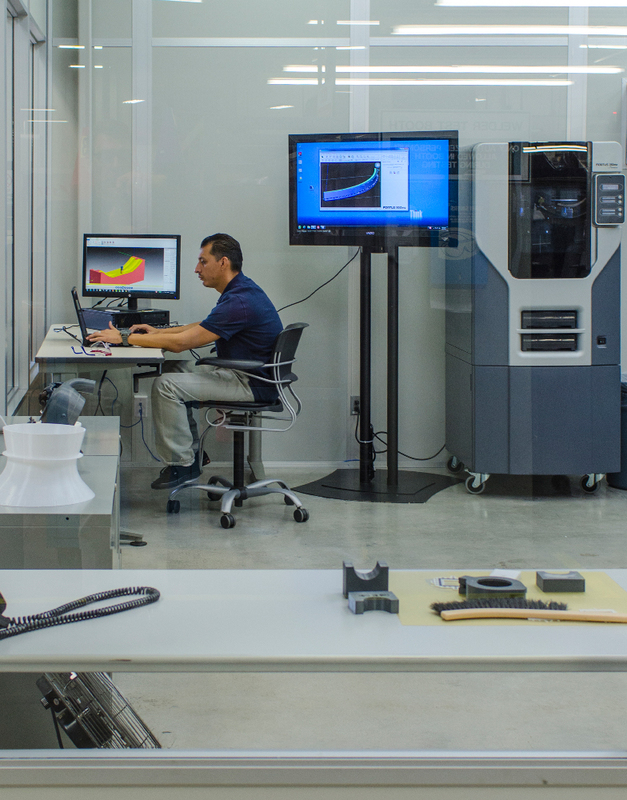 Our manufacturing engineers work together with 3D model software specialists to insure every 3-dimensional measurement is precise. Translation from one type of 3D software to another can shift coordinates and plot points, and must be carefully checked. 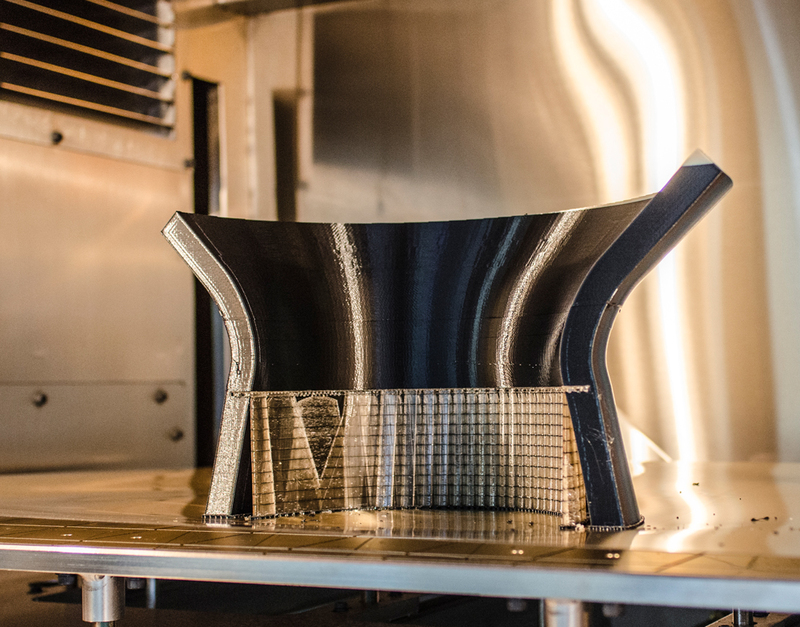 This large fixture was printed on an angle maximizing the 3D Printer's output size (note the $20 bill). Early on, ACE discovered that measurements on these stable fixtures could provide invaluable in-process inspection tools during manufacturing. 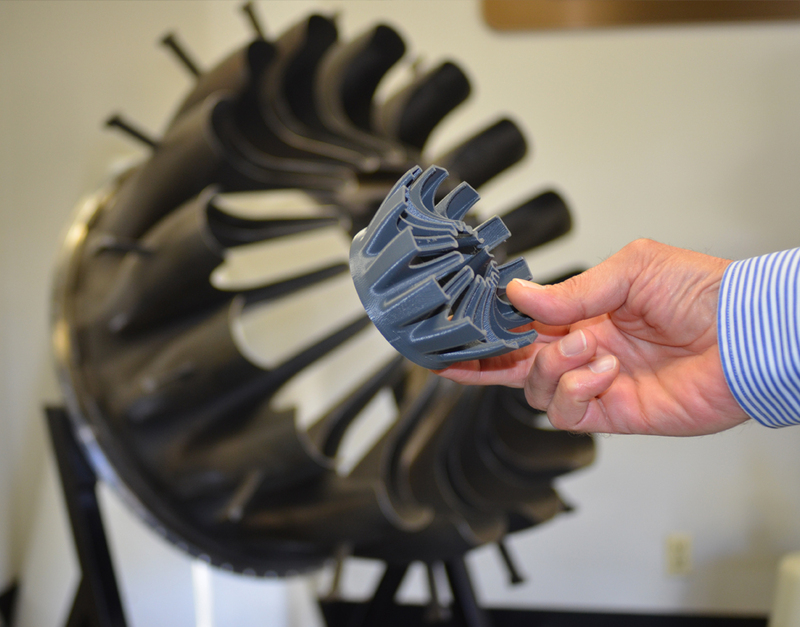 No matter how large a final part, as with this jet engine sound-baffling nacelle, a scaled version can put that design into our customers' hands for discussion, analysis and better design realizations. 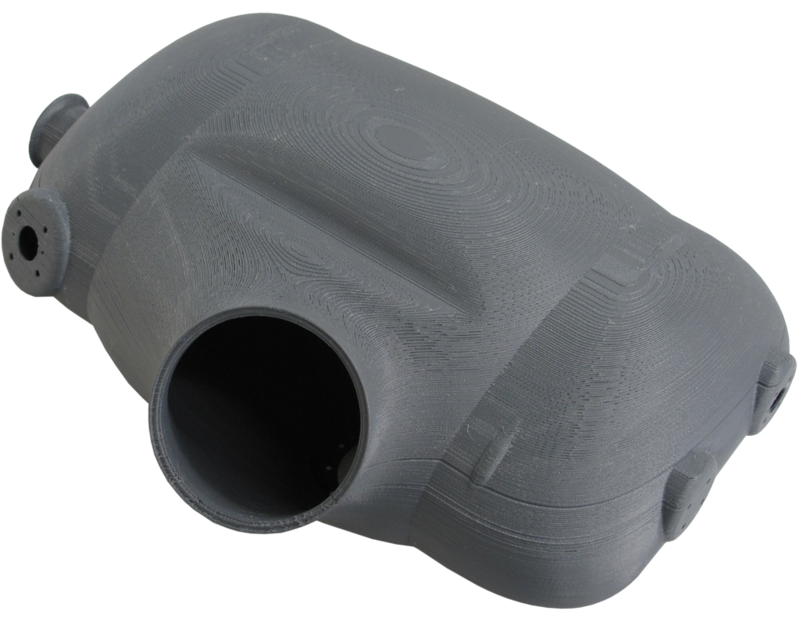 Study of this tank enabled our engineers to work with the customer and significantly simplifying its design, speeding the time it took to manufacture and curbing prohibitive production costs. 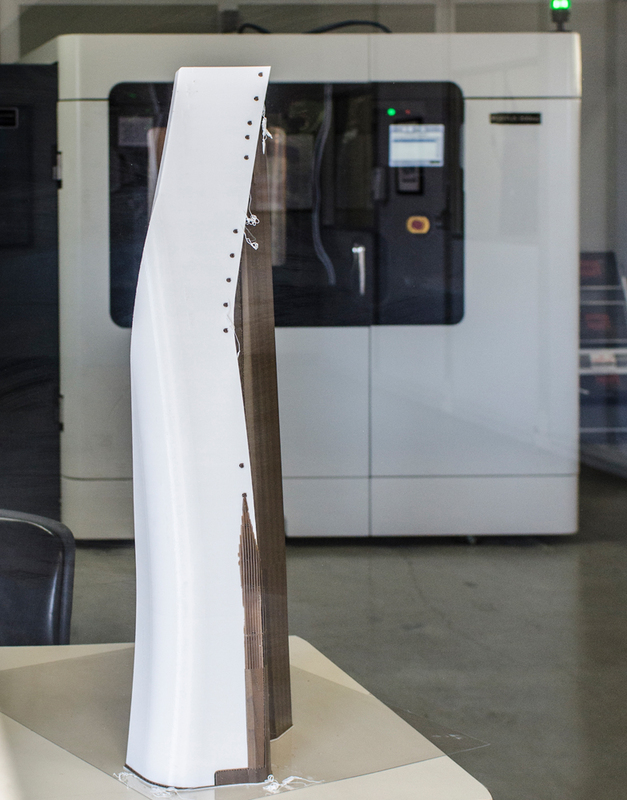 Printed in cut-away, this asymmetrical shield is the perfect example to demonstrate the power of 3D printing for manufacturing analysis and produceability.